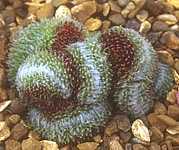 No-one really knows what makes succulents produce crested, fasciated or monstrose growths, but they are fascinating, often architectural variations and could form the basis for a collection in their own right. 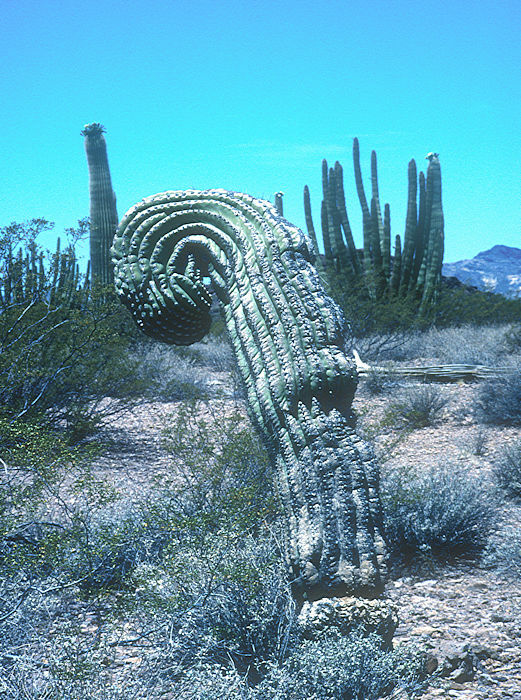 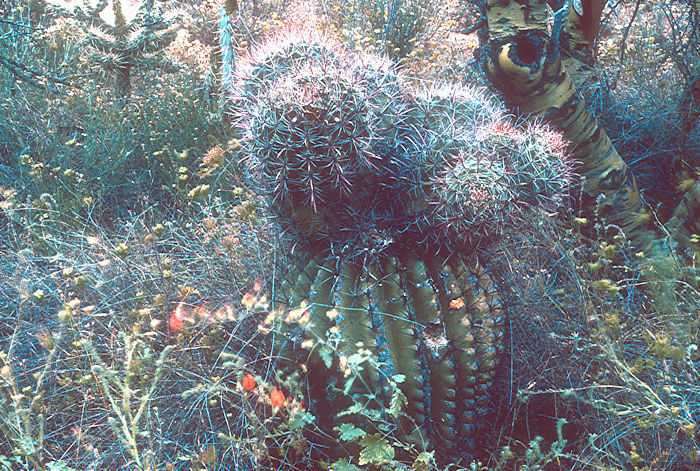 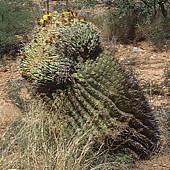 Gordon Rowley coined the term "Teratopia" for these distorted plants. Some of the growths are stable; others tend to revert to normal growth every so often suggesting that the change is not caused by a gene mutation but rather an epigenetic event. 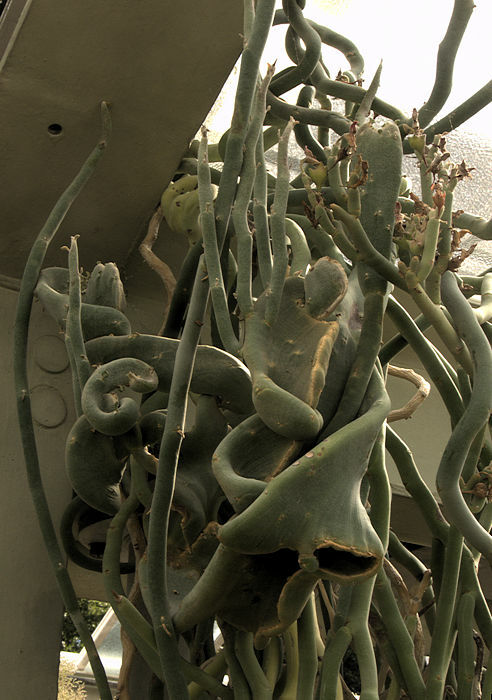 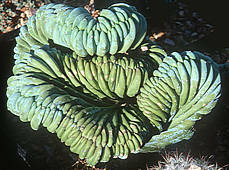 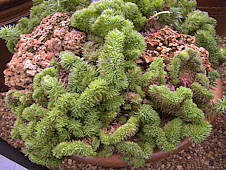 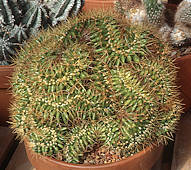 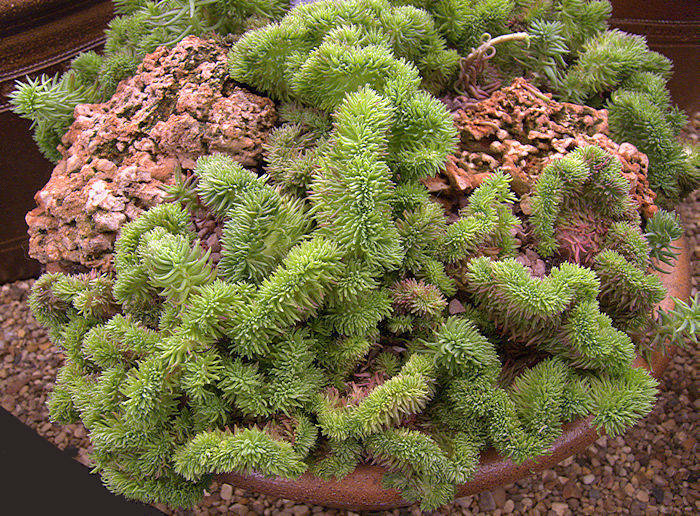 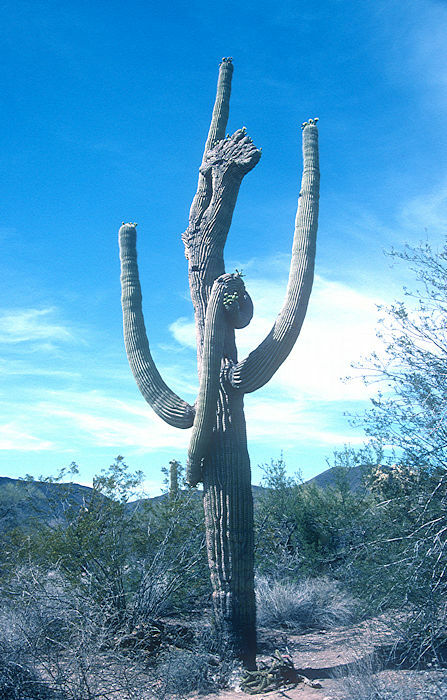 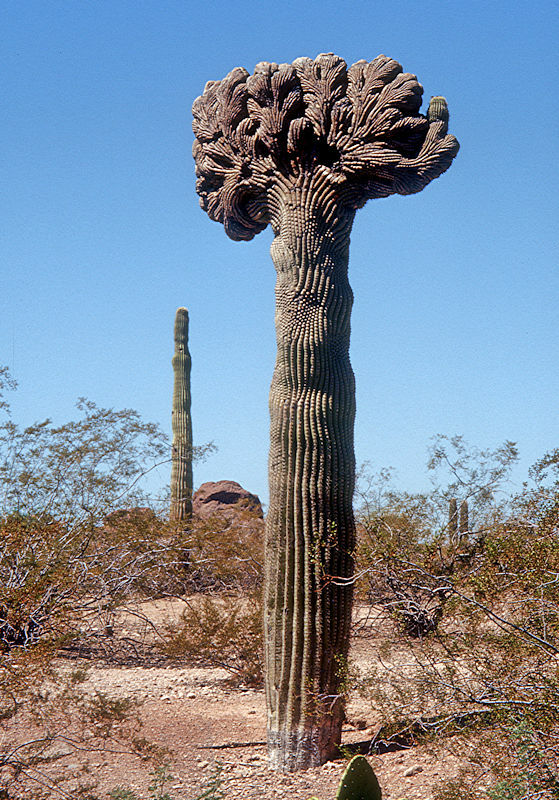 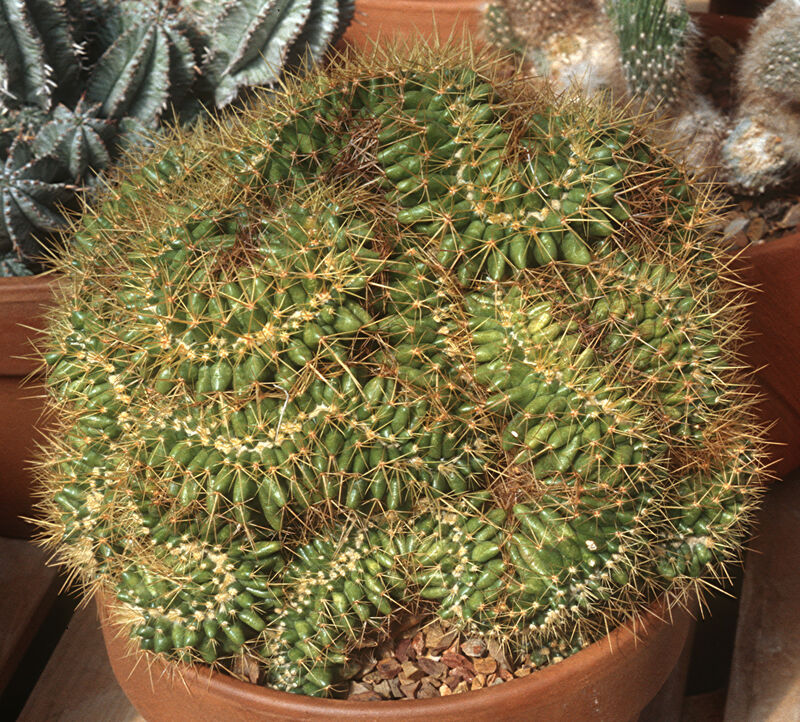 Normal growths should be removed periodically to preserve a crested succulent, as otherwise they tend to take over. Cristate (Crested, Fasciated) forms are the result of aberrant elongation of a growing point to form a crest. 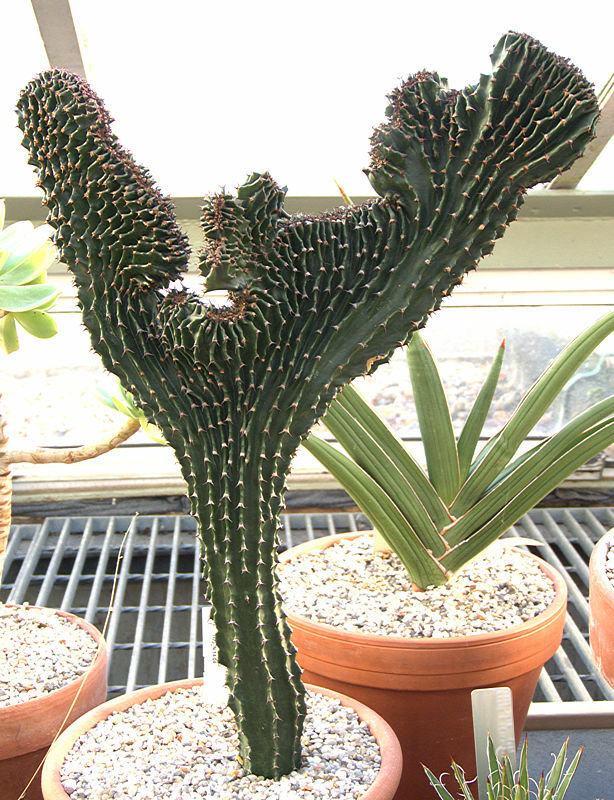 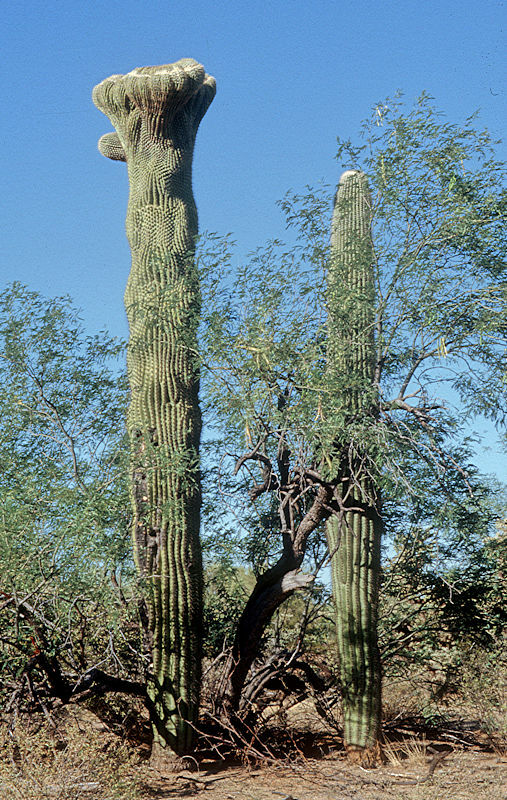 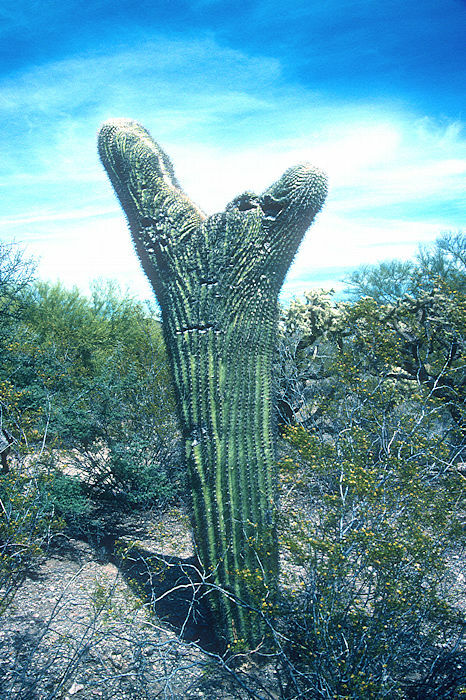 In many cases, the elongation of the stem keeps going to form a twisted coil or mat of vegetation. 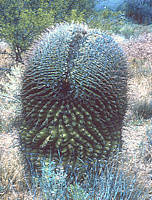 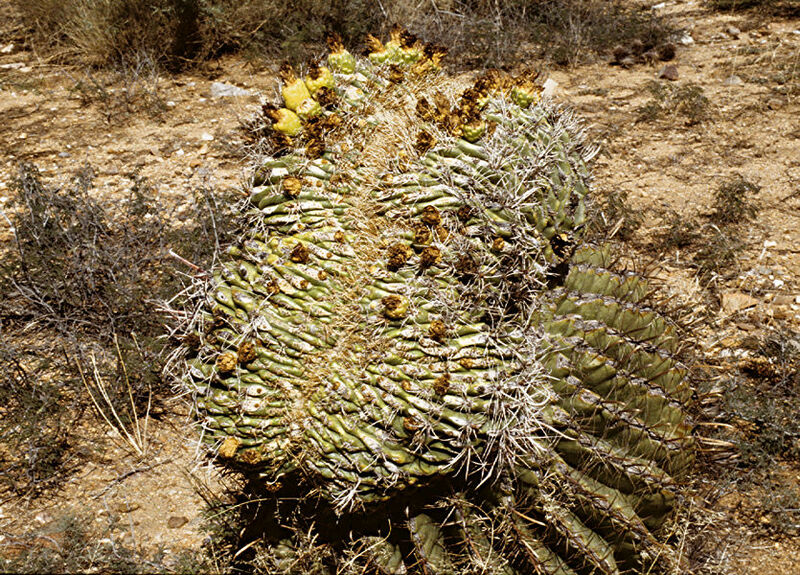 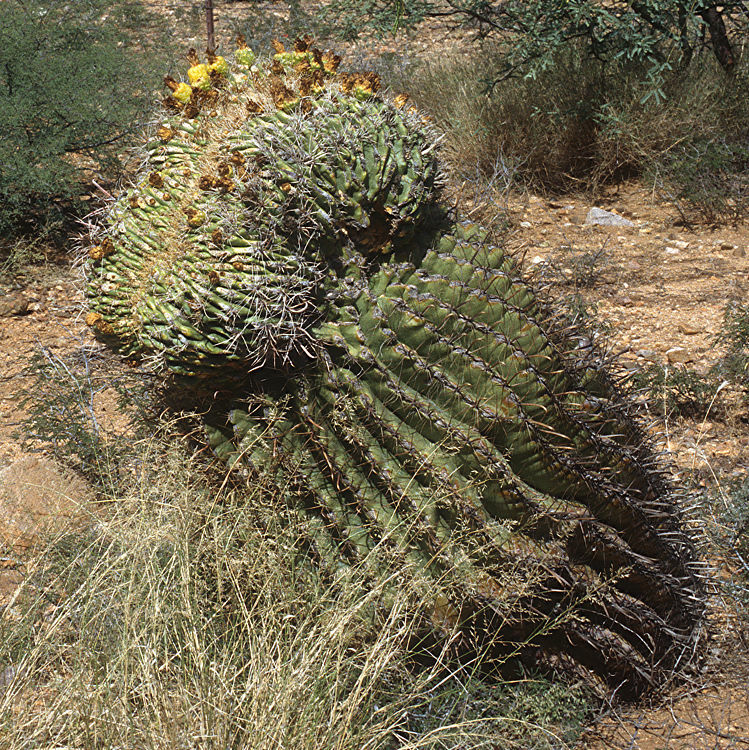 The crest usually continues to produce areoles, hairs or spines characteristic of the parent, and may flower. 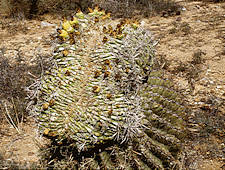 Fasciation also affects flowers and fruits. 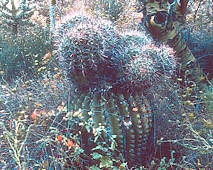 Monstrose (Monstrous) growths are produced when one or more growing points form, from which uncontrolled lumpy growth is produced. 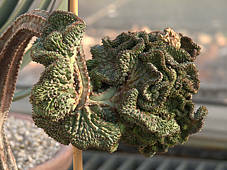 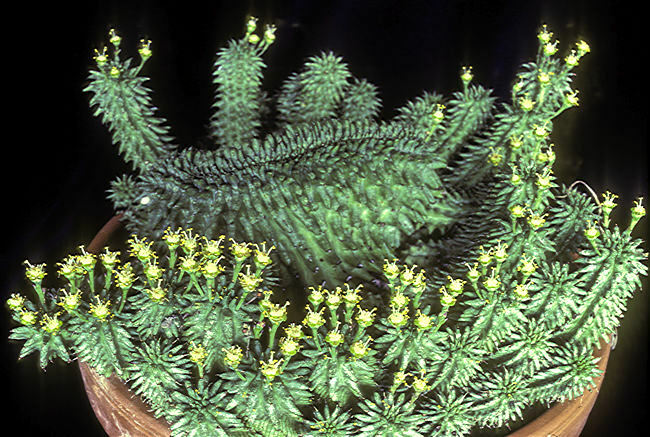 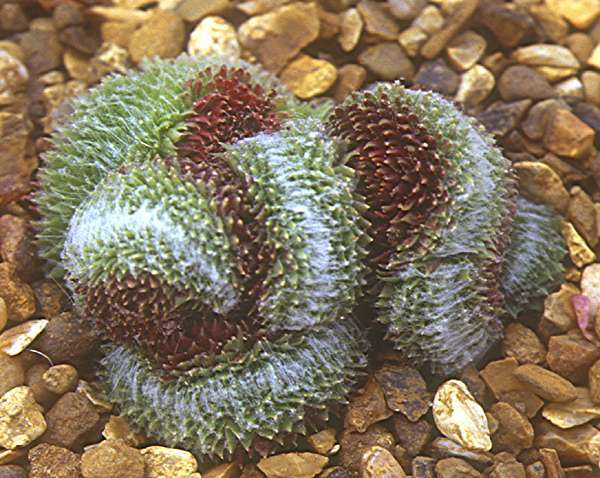 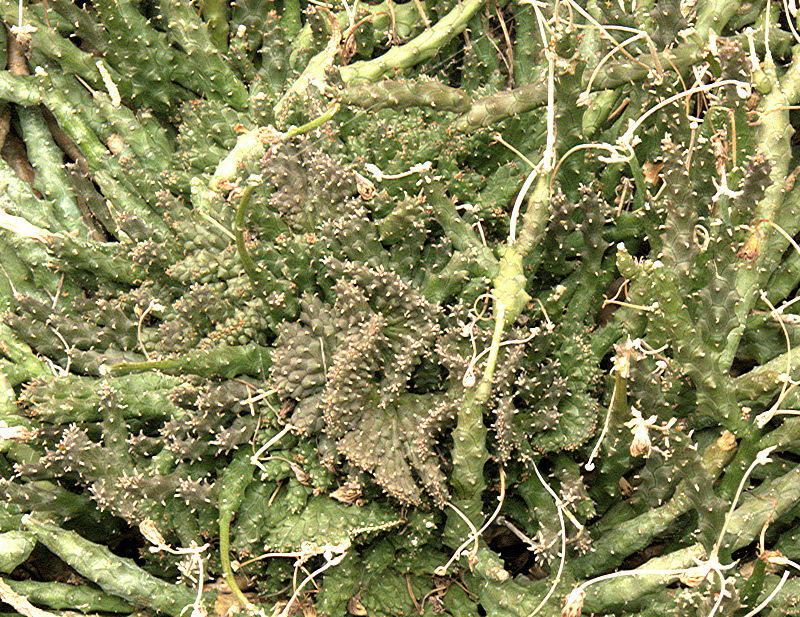 In many cases the aberrant growth is less differentiated than that of the normal succulent but may produce occasional differentiated features such as hair, spines, even flowers, not unlike a vegetable form of a teratoma. Fasciated growth occurs when any growing part of a plant elongates abnormally, producing a flattened ribbon-like growth. 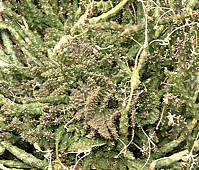 Causes include hormonal imbalances and bacterial infection.